Hello! 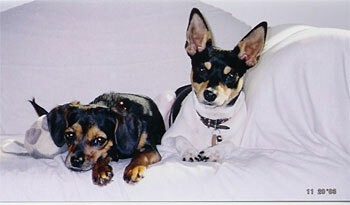 Here is another picture of Nala (left) with her friend "Petie" who lives next door. They love each other... She is really happy!